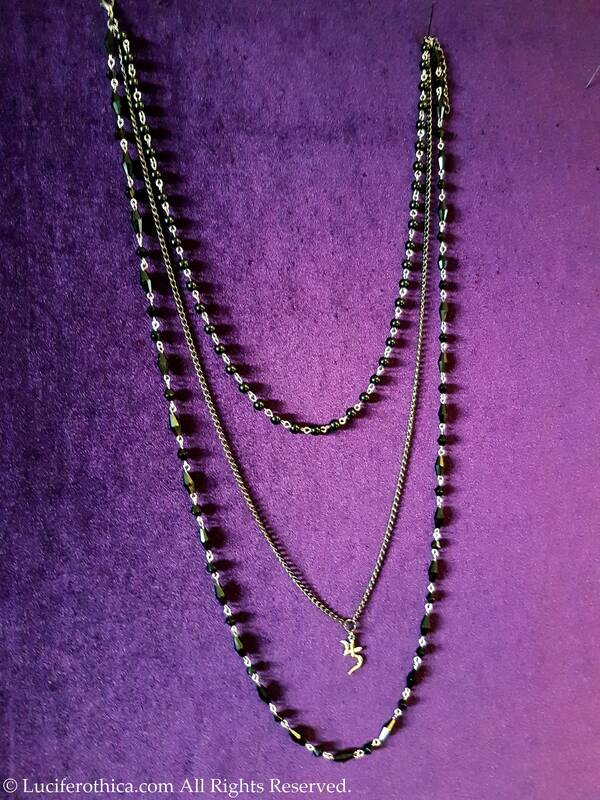 Made with 3 layers of chains. 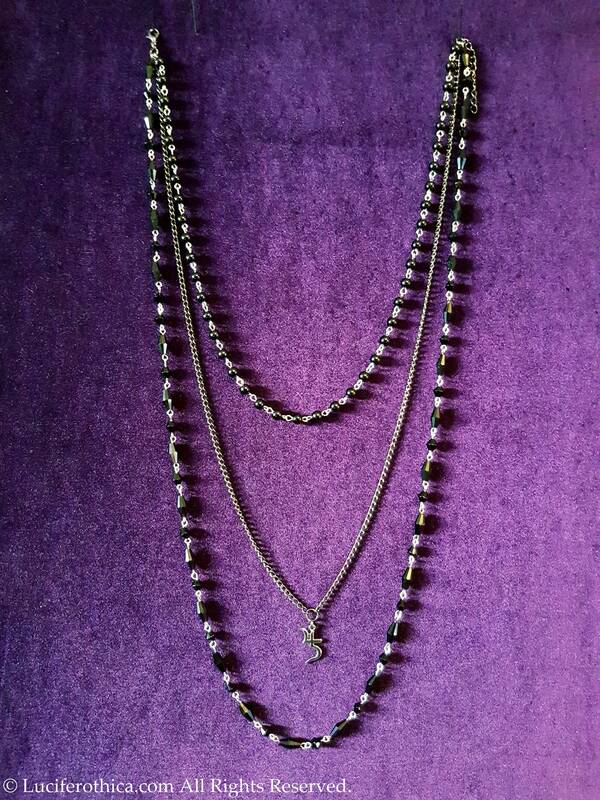 Shortest bead chain is 48cm with 5 cm extension to adjust. 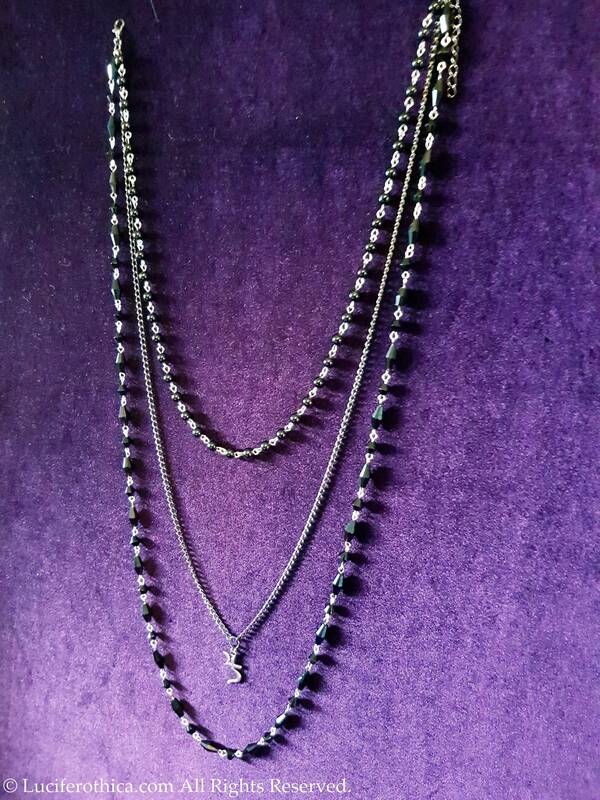 Longest bead chain is 80cm in lenght. 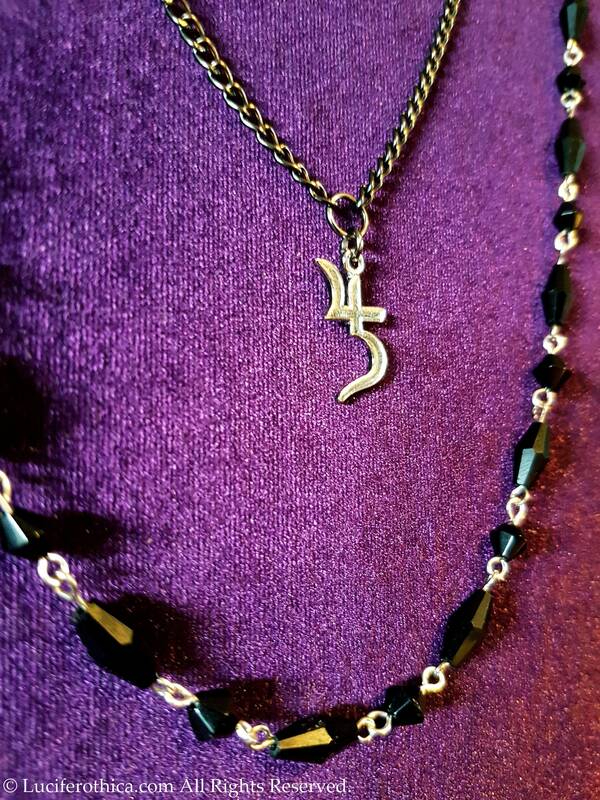 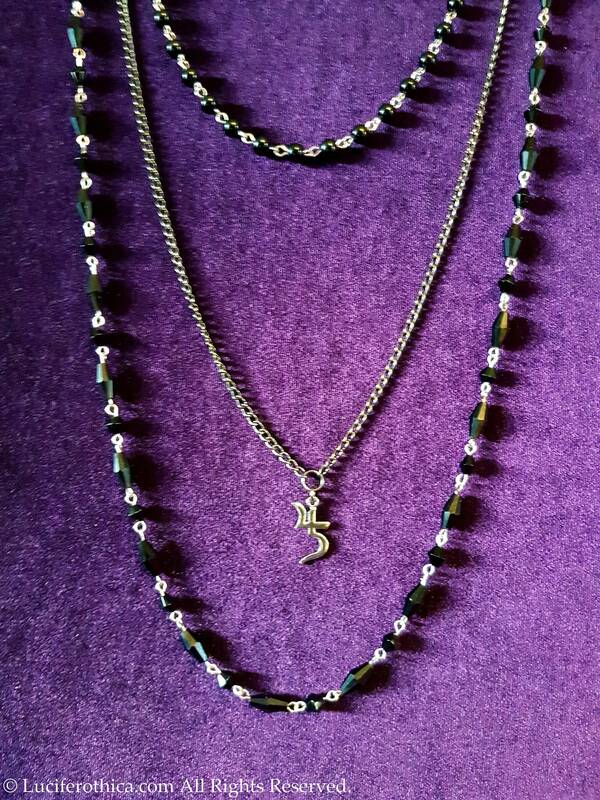 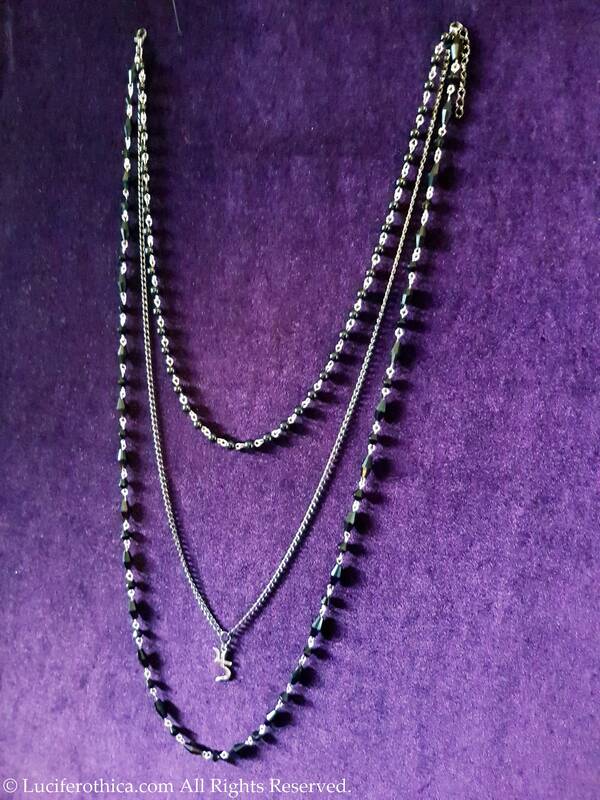 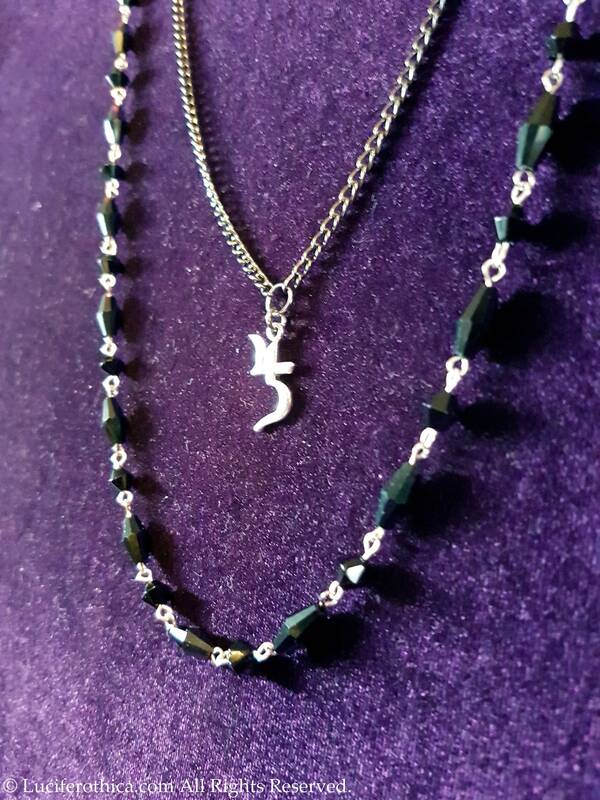 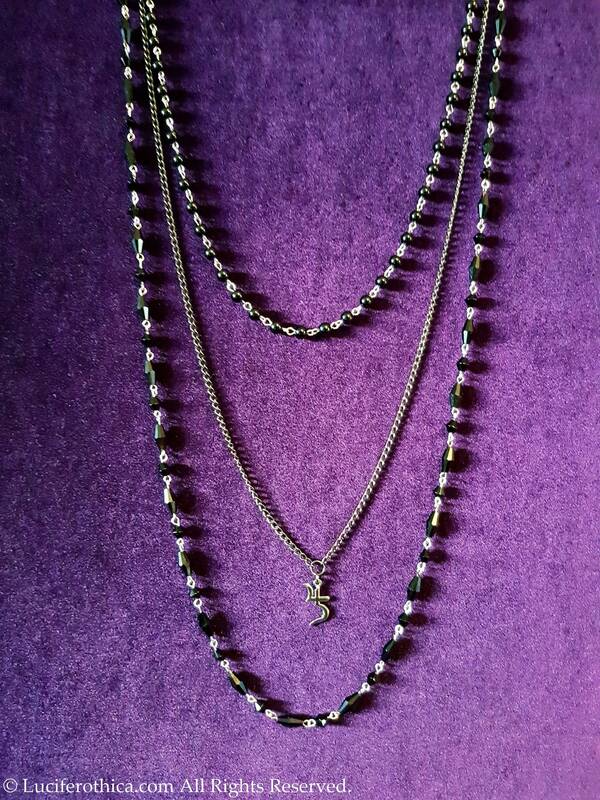 - Silver colour Jusa sigil on the middle gunmetal colour chain. 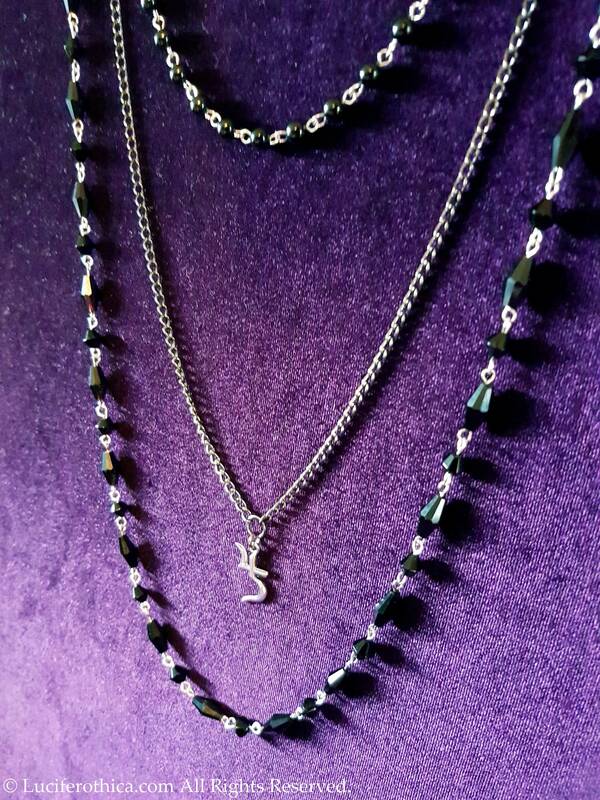 Goes perfectly with the Triple Nosechain, also available in the shop since it's a similar design.